Disclaimer: As always, my genealogy is a work in progress. There is a lot of information I have yet to locate and possible discrepancies in information already found. While all of my information is sourced in my genealogy software, I am not going to take the time to type all that out here. If you would like a source citation for a particular event, please ask. 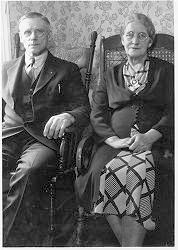 My fifth great grandparents were Elijah E and Jane Beard (I know nothing of Jane except her first name). Elijah was born about September 1764 in Scotland and died on 14 Jun 1853 in Berkshire, Franklin, Vermont. He is buried in the Berkshire Center Cemetery (his tombstone is on FindAGrave.com). David Beard (my 4th great grandfather. See below). David Beard was born abt. 1819 in Stanstead, Quebec, Canada. He married Jane Doan/Dean(e). 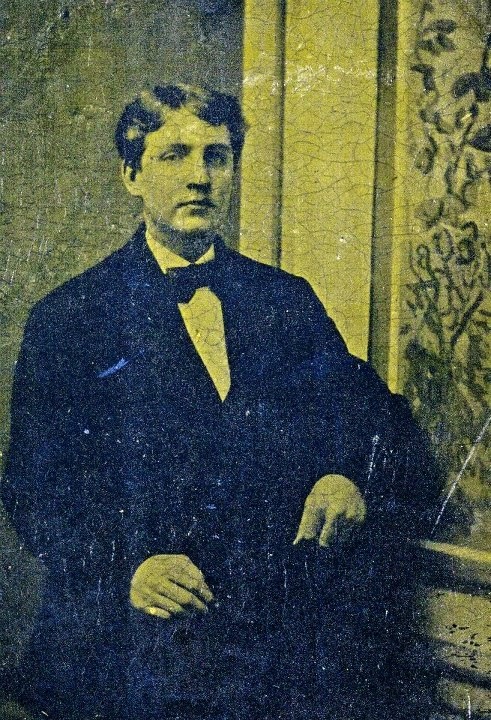 He died on 18 Aug 1899 in Barre, Washington, Vermont. Jane Doan/Dean(e) was born in Underhill, Chittenden, Vermont. 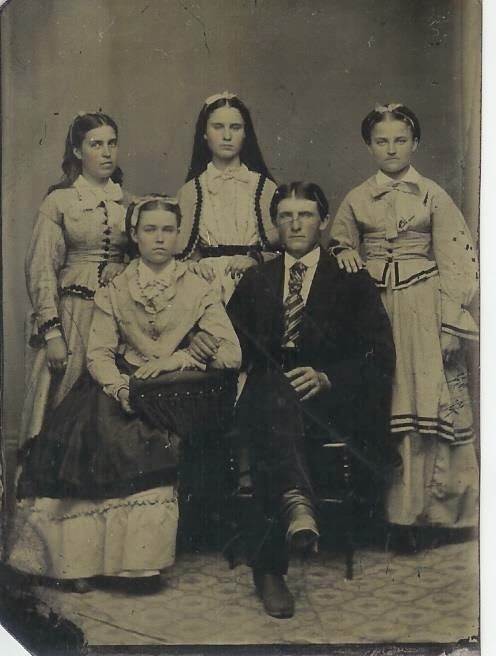 Roland S Beard: (my 3rd great grandfather. See below). Roland S Beard was born on 4 Jun 1851 in Underhill, Chittenden, Vermont. He married Florence Eliza Kittell on 4 Jun 1872 in Sheldon, Franklin, Vermont. He died on 20 May 1930 in Lamoille County, Vermont and is buried in Pleasant View Cemetery in Morrisville, Lamoille, Vermont. Florence Eliza Kittell was born in 1850 in Fairfield, Franklin, Vermont to William Riley Kittell and Elizabeth Eliza Lanpher. She died on 18 May 1927 in Morrisville, Vermont and is buried in Pleasant View Cemetery in Morrisville. Harry Beard: b. and d. in 1881. William Riley Beard was born on 4 Dec 1877 in Sheldon, Franklin, Vermont. He m. Olive Elizabeth LaGrange on 11 Mar 1899. He died on 12 Feb 1956 in Waterbury, Washington Vermont. He is buried in Pleasant View cemetery n Morrisville, Vermont. Olive Elizabeth "Grace" LaGrange was born on 4 May 1878 in Sheldon, Franklin, Vermont to Abraham LaGrange and Elizabeth Isabel Renney. She died on 9 Sept 1963 in Morrisville, Lamoille, Vermont. She is buried in Pleasant View Cemetery in Morrisville. 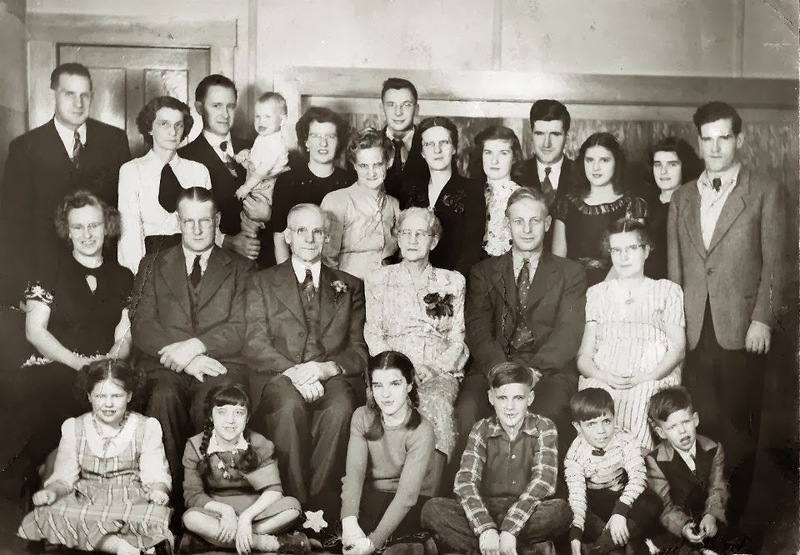 William and Olive Beard (Center) 50th Wedding Anniversary in 1949. This is wonderful! I think we've connected before. My birth name is Linda Lea Beard, my dad was Harlan, son of Clyde. I can't find a source that lists Elijah, Sr. and Jane's? son David. And I haven't figured out where in Scotland Elijah was born. Do you know? My email is currierlb@gmail.com and I'm on Facebook as Lynn Currier. 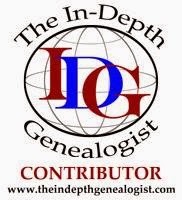 Hello - I am also a descendent of Elijah E. Beard Sr. through his son Oliver, then William Henry, then Byron Sumner, then Corliss Sumner, then Marvin Corliss and my father is Thomas, making Elijah my 5th great grandfather. I just started digging into this particular side of my family, so I don't know too much about where in Scotland the Beard's came from or anything about Jane Forget.